Soak your tuckered out feet in this cooling peppermint foot soak. Baking soda removes odors! Are your feet ready for Summer and sandals? Get a head start with my Cooling Peppermint Foot soak made with all natural pink Himalayan salt, Epsom salt, baking soda and a touch of cooling peppermint essential oil. Use about 1/2 cup of the soak per gallon of water. I added a touch of powdered milk so the essential oil would emulsify easier in the water. If you are vegan, you may use powdered coconut milk as a substitute. Peppermint essential oil is steam distilled from the peppermint herb. Did you know it takes about 100 kg to produce just 1 kg of essential oil? Spearmint is a good substitute if you can't find peppermint. 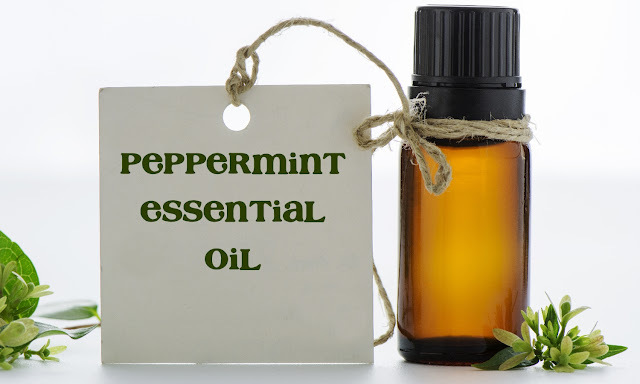 Lately, it is becoming common for cheaper brands and shady companies to label their product as "Peppermint Essential Oil" however it is actually cornmint (Menthe arvensis). You can purchase genuine peppermint essential oil from Mountain Rose Herbs. photo credit: Mountain Rose Herbs. Pink Himalayan Salt. You can also find the Pink Himalayan Salt at Mountain Rose Herbs. 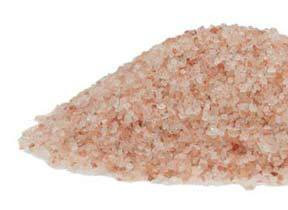 According to their website, "The Himalayan Pink Salt offered by Mountain Rose Herbs is “Gourmet Food Grade,” the highest quality of Himalayan salt available. It is used by holistic chefs, spas, health professionals, and individuals for its range of nutritional and therapeutic properties. Use Himalayan Pink salt in bath salt recipes, body scrubs, aromatherapy, homemade soap, and all types of culinary and spa applications. Himalayan Pink salt was originally formed from marine fossil deposits over 250 million years ago during the Jurassic era. Harvested from ancient sea beds, this rare and extraordinary salt has been a valuable commodity for centuries." Click HERE to purchase from Mountain Rose Herbs. Combine the salts and baking soda in a large bowl. Mix well. Sprinkle in the powdered milk and peppermint essential oil. Stir all ingredients well to combine. Transfer to a glass jar with a tight fitting lid. Use 1/2 cup per gallon of warm water. Soak your feet for 30 minutes and then rinse under warm and pat dry. Follow up with a moisturizer and socks.